I've been tagging along with Hollie as she's has been shopping for decor in her new home in Yuma AZ. Hollie is a thrifty shopper and really watches the sales, uses her coupons, and shops the discount and thrift stores. Even still, the prices are high and can add up in a hurry. She loves lots of pillows on her beds and sofas and chairs. She was having a hard time finding the right "red" pillows for her bed. We found the right color but OUCH! The price $30 for one pillow! So to Joann's we went. 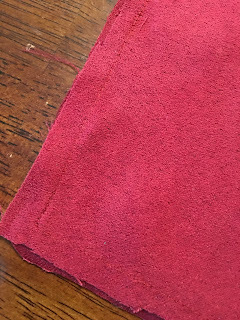 We purchased some red suede type fabric, some tan linen look fabric, a couple of pillow forms, and some large buttons for half the price and we can get at least 2 pillows from the fabrics. I actually think I can get about 4 from the fabric. I apologize for the terrible pictures in this tutorial. The fact that I was able to throw this together is a miracle. Even with the horrible pictures, I think you can figure out how to make your own Designer Pillows. I'm using an 18" pillow form to complete this project. I started with a 21" x 18" piece of fabric. 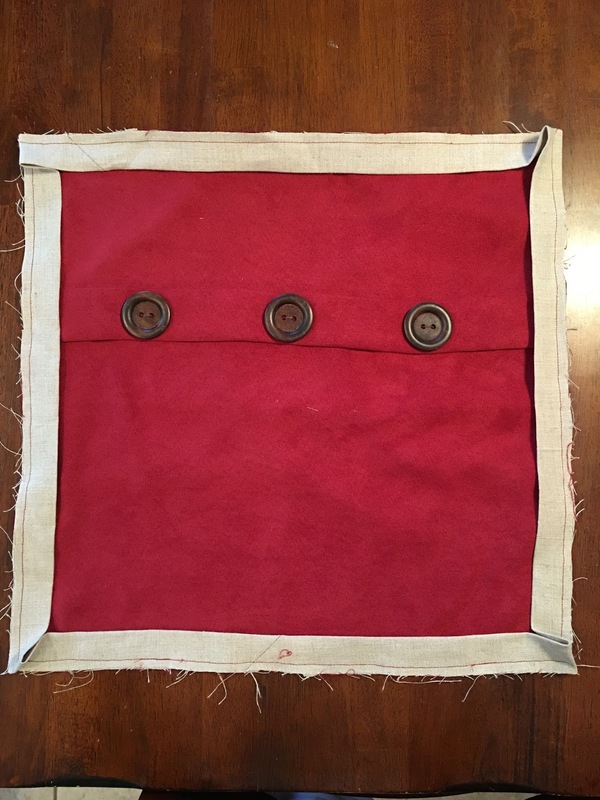 To make a faux button closure, I folded it down 7" from the edge (so now it measures 18" x 14") and stitched 1 1/2" from the folded edge. Then I pressed it away from the short side. 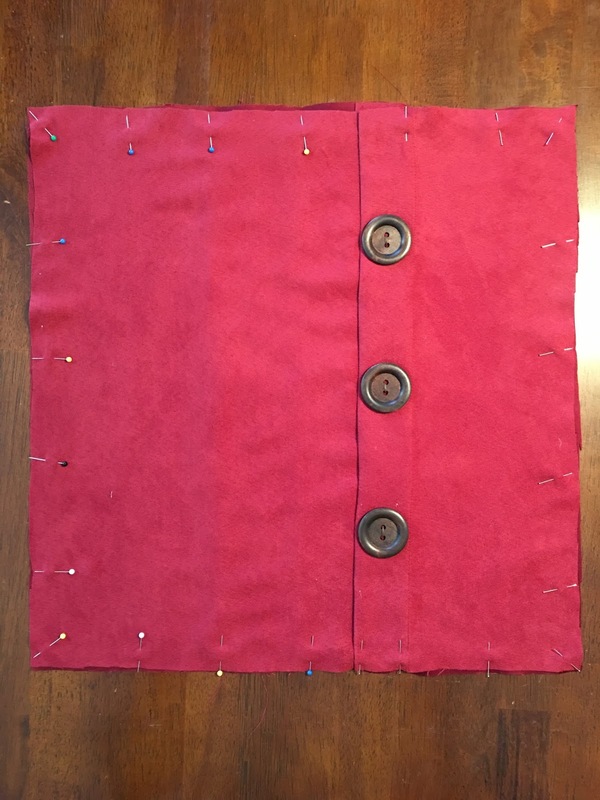 It should now measure 18" square. 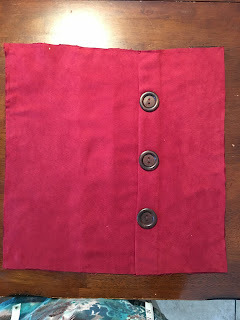 Sew 3 decorative buttons on the faux button closure. I marked the center (at 9"), sewed the first button on, then measured over 3" and sewed the other 2 buttons on each side of the center one. Now I'm ready to prepare the back. 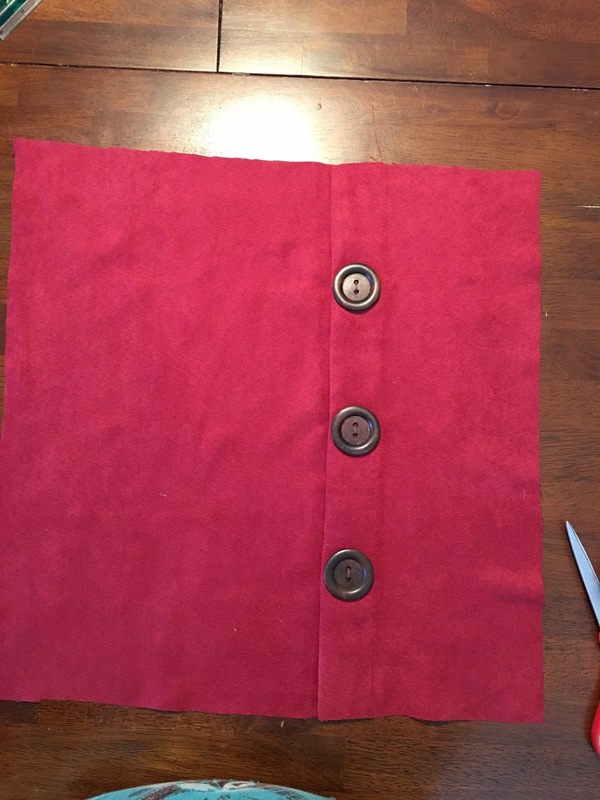 I'm going to make it an envelope style backing. I cut 2 pieces 18" x 14". 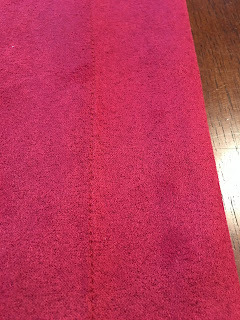 I hemmed the edge 1 1/2"
So now I have 2 pieces 18" x 12 1/2". Measure over 9" from the edge of each piece. (That will be your middle). 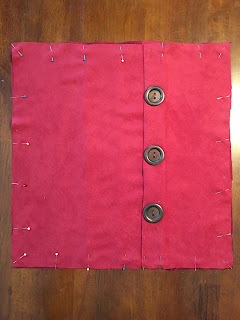 Lay one piece on top of the other one, lining up the pins marking the center. 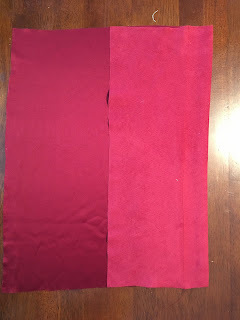 The wrong sides of the fabric should be facing up on each piece. 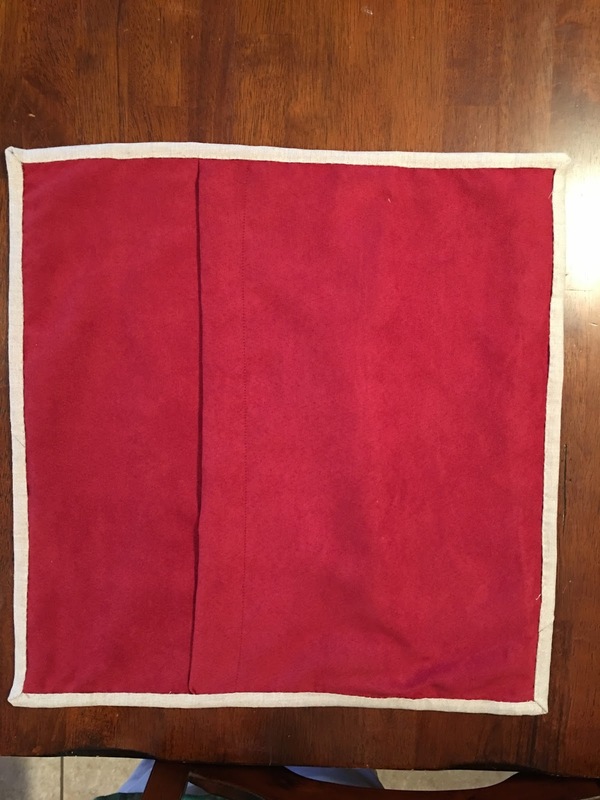 When placed on top of each other, again the square should measure 18". 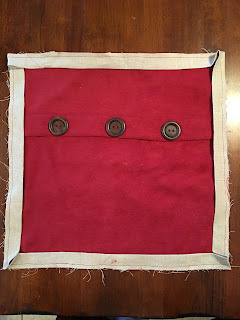 Lay the front piece of the pillow on top of the backing, wrong sides together, pinning all the way around the pillow. 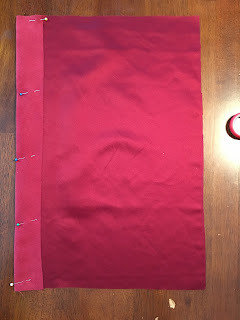 Baste with a long basting stitch either by hand or by machine 1/4" from the edge. Prepare your binding, as if you're preparing binding for a quilt. 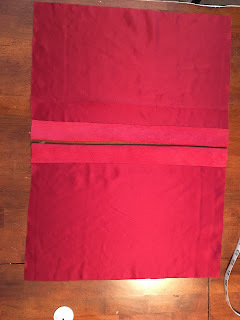 I make mine 2 1/2" wide by width of fabric and for this pillow you will need 2 strips sewn end to end on the bias. 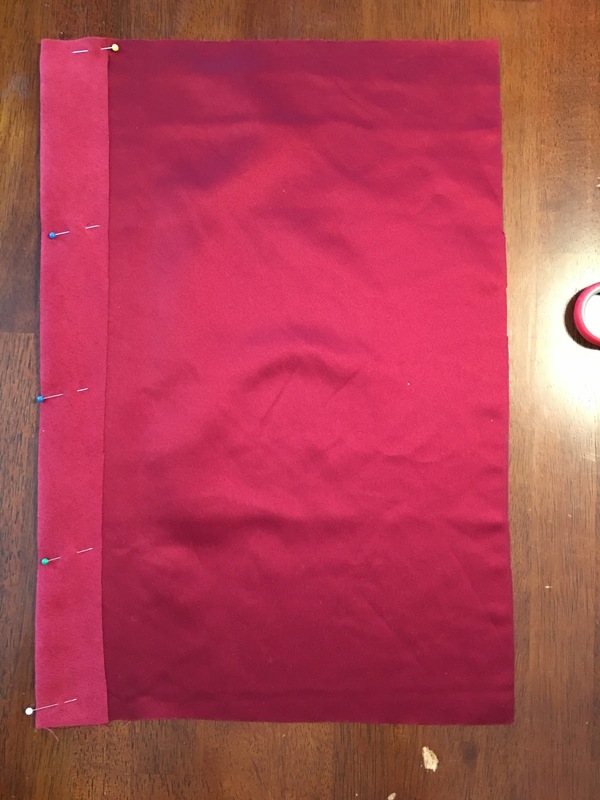 Press the seam open and then press the strip in half lengthwise. 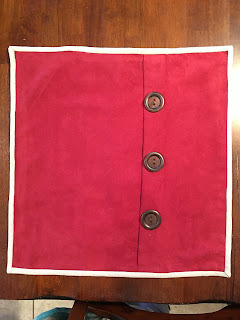 Attach the binding to the pillow as if it were a quilt. 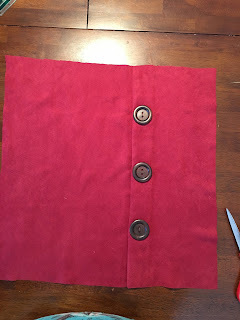 Turn the binding and stitch in place (either by hand or machine). 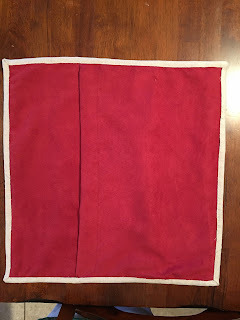 Don't faint, I stitched this one down by hand! 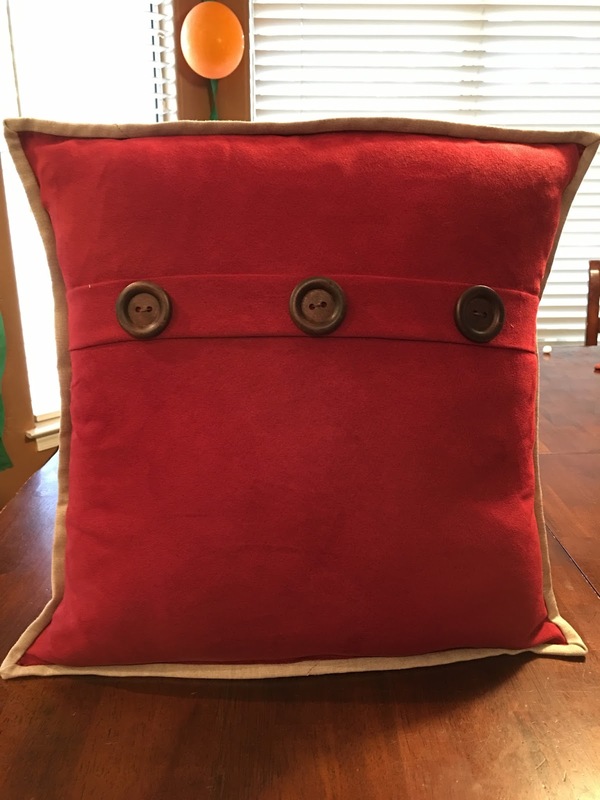 Insert the pillow form and TA DA! A designer pillow for much less. Don't you just love the way the binding makes a piping look finish around the edge of the pillow. And here they are with the other pillows she picked up. The background fabric is her comforter. I think they are going to look great with the pillow shams that match the comforter. Those pillows are GORGEOUS!!! 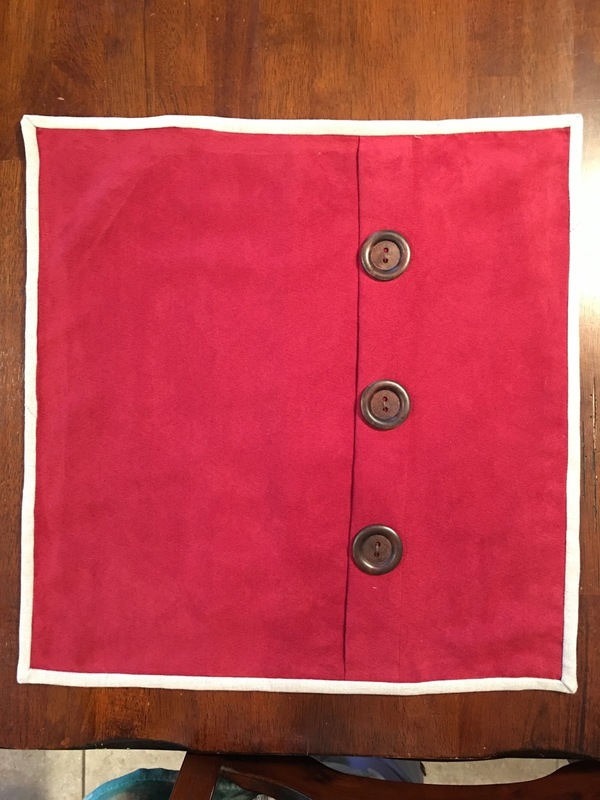 !this pillow shams that match the comforter.